The Founder and the President of CWAA: Maria Lixian Gee-Shweiger, Ph.D . She was born in China and immigrated to America since 1992. Before immigrating to U.S.A, worked at National TV Station, Heilongjiang province, China, as an editor, writer, for over fifty pieces of TV Programs. A member of National Television Experts Association and Play Experts Association in China since 1987. She has published four books and many articles after immigrating to the U.S.A. She has her Doctor’s Degree of Chinese Linguistics in Studies on Chinese Applications. She is an Adjunct Professor of Thomas Jefferson School of Law and Mira Costa College in America, and Jinan University in China. She is the co- founders and the honorable Chair of American Chinese Culture and Education Foundation, U.S.A (ACCEF). Vice-President: Shaoyi He, Ph.D. Dr. He holds an MA in Linguistics, and a Ph.D. in Information Science and Library Science. Dr. He is currently the President of Educulture Global, LLC, an organization that focuses on international education and culture exchange. He is a former Associate Professor at California State University, San Marcos, and an Adjunct Professor of Economics and Management of Tongji University, China. Dr. He has worked as a faculty member in Long Island University, Pennsylvania State University, and California State University San Bernardino. Dr. He’s current research interests include interplay of technology, culture and language in global e-business; multilingual information access and retrieval on the Web, multilingual issues in e-commerce website glocalization; and language barriers in marketing across cultures. He has published papers in such academic journals as Journal of the American Society for Information Science, Information Processing and Management, Journal of Information Communication and Library Science, Electronic Library, and Journal of China Society for Scientific and Technical Information. Dr. He is a member of the Association of Computing Machinery (ACM), Association for Information Systems (AIS), and American Society for Information Science and Technology (ASIST). In addition, Dr. He likes to write Chinese classical poetry, and he is a principal member of the Poetry Society of San Diego. Dr. He is the former Secretary-General of the American Chinese Cultural and Educational Foundation (ACCEF). I, Daniel S Tam was born in 1947 and raised in Hong Kong thorough high school. I married to my wife Shirley in 1969. My family and I were immigrated to United States of America in 1977 with three children aged 7, 5 and 2. Upon arrival in USA I finished my B.S. degree in business majoring in accountancy at San Diego State University and later earned my Master degree at University of the West majoring in Buddhism philosophy under the guidance of Prof. Lewis Lancaster who is one of the well respected scholar in the world. I worked at an import company as a Chief Financial Officer from 1987 until my retirement in 2004 while at the same time dedicated my time volunteering to serve the communities such as homeless at ST. Vincent De Paul, started visiting the prison inmates in 1995 joined force with San Diego Buddhist Association to expound the Buddha Dharma. In 2004, I joined force with a Buddhist monk to establish a non-profit Organization called International Bodhisattva Sangha a 501 ( c ) (3) status Dedicating to serve the general public such as Prison Visitation and homeless program. During the course of visiting the prison at Calipatria State Prison(one of the prison under CDCR system), many inmates has been benefiting from the teaching of the Buddha and taught by compassionate action. I also volunteer at USA Tzu Chi Buddhist Foundation in 2011 to serve the general public and has published an article related to my volunteering experience in the prison both in Chinese and English at one of the Tzu Chi books collection. The Secretary-General, Zhao Yandong, retired from UCSD School of Medicine, loved both classical and contemporary literature since childhood, and engaged in amateur writing for many years. She has been a member of Muyun Poets Club in San Diego, California since 2007 with many poems and prose published in the club’s periodicals. During this period, she worked as an editor, responsible for publication of the periodicals. Her works include poems, prose, and essays, published in various websites, including Sina, Shouhu, QQ, Wuzhousihai, etc. and local Chinese Journal – We Chinese. Board member: Hao Wen, got her Masters of Science in school of business at University of San Diego in 2013. She was brought up under her mother's influence who has a great passion for Chinese classical literature. She has a great knowledge in poetry and pose even in her childhood. During her teenager years, she started to write poems herself and her poems style are greatly influenced by The Songs, which is a grand ancient Chinese master piece of poetry. She also has an academic education in music study, which she said, has a tremendous impact on her understanding of poems and provided a great help in the poetry and aesthetic appreciation of literature. She started to play keyboard and Guzheng, a Chinese zither, at age of six, and her playing of both of the instruments were recognized by the highest level at the Central Conservatory of music in China. She is also an active member of the Poetry Society of Mu-yun. Xianlin Ye, Master of Arts in English Language and Literature, Member of Chinese Writers’ Association and Beijing Writers’ Association, Councilor of the Chinese Studies of Literature on Martial Heroes, Member of Editors’ Association of China, Professor of Editorship. Before coming to USA, he worked as Assistant Editor-in-chief of People’s Literature Publishing House and Editor-in-chief Daylight Publishing House, having edited various bestsellers and literary classics in Chinese version, Harry Potter series included. In addition, he loves translating and writing. Some of his translations are Water Babies by Charles Kingsley, The Uncertain Path (Star Wars series) by Jude Watson, The Farthest Shore by Ursula Leguin, Fantastic Beasts & Where to Find Them and Quidditch Through the Ages by J. K. Rowling, The Andersen's Complete Fairy Stories by Hans Christian Andersen. His writings include Dad, Don’t Throw Yourself Away, Pain, A Rabbit Jumps Over the Moon and so on. Bing Jie, Chinese Writer America Association’s core member. She’s an editor for “WeChinese Magazine” and “Chinese Weekend”. She started her modeling career and professional training since high school, participated in various clothing fashion show, filming and television advertisement. She is also the coach for WeChinese Youth Model Team. Ms Bing is a certified Master Make Artist for Design-MUD. The Founder of BING STUDIO and coach for BING STUDIO’s Adult Model Team. The President of CWAA: Maria Lixian Gee-Shweiger, Ph.D . She was born in China and immigrated to America since 1992. Before immigrating to U.S.A, worked at National TV Station, Heilongjiang province, China, as an editor, writer, for over fifty pieces of TV Programs. A member of National Television Experts Association and Play Experts Association in China since 1987. She has published four books and many articles after immigrating to the U.S.A. She has her Doctor’s Degree of Chinese Linguistics in Studies on Chinese Applications. She is an Adjunct Professor of Thomas Jefferson School of Law and Mira Costa College in America, and Jinan University in China. She is the co- founders and the honorable Chair of American Chinese Culture and Education Foundation, U.S.A (ACCEF). Vice-President: Xinghua Sun Chinese medicine doctor, Heilongjiang Chinese Medicine University and Civil Engineer master San Diego State University. California Registered Professional Engineer, President of Xing Inc. His was the president of Chinese Literature Club of Heilongjiang Chinese Medicine University. He was columnist of "Southern Sports News" of China, and writer of "Science Fiction World", "Fantasy World", "Novoland Fantgasy" and a number of Chinese and American newspapers and magazines columnist. Works are: short story, "Two Stories", "Regicide", "Heavy Cavalry", "Arm Wind", "Flower of the Rising Sun", "Ambush the New Moon"; novella "Fete God", "Drifting of Holy Grail " "Sea Festival", "Pure Water"; novel "Descendant of the Dragon", "Seeking the Spring". Chief Financial Officer, Xiaoni Xu is the owner and manager of Xinhua Bookstore in San Diego, California. She holds a MA in Chinese Literature, and she has taught at Shanghai Normal University within its Chinese Language and Literature department—since leaving the institution she has maintained her interests in education and in writing. 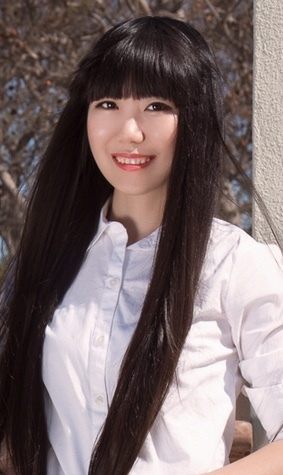 After coming to the United States, she worked in international trade before opening the San Diego branch of Xinhua Bookstore, the largest Chinese-language bookstore outside of Mainland China. The bookstore serves as a cultural center for the local Chinese community, hosting events such as book readings, calligraphy classes, and literature recitation club meetings. In the meantime, Ms. Xu also contributes to overseas Chinese media through her column in We Chinese, "Discussing Books with Xiaoni." Board member: Zhi Wang, was born in Chengdu, China. Some of Wang’s accomplishments are: Planning Director for the Chinese American Qi Ren Qi Cai Association. Honorary director of the association of American international book of changes, The I Ching, and was also a Special guest on the I Ching Peak BBS, Vice chairman of the Spanish-American Association for peace, In 2009, named Person of the Year by the Hua Xia Chinese Network, In 2010, front cover photo for the fourth issue of the World Chinese Journal of magazine, In 2011, produced a short film – “A Petal Onto The Sea” with overseas Chinese director Glenn Zhang, Received the Golden Seventh Angel award for best short film “Festival of China and The United States,February 16, 2013, received the Newark Chinese Celebrities Summit of Trade Center for North American Chinese Outstanding Achievement award in San Francisco, 2013, received “the Global Chinese Man of the Year" award. Board member: Binying Qi, Senior Editor in Heilongjiang TV & Movie Center before coming to US. Professional Senior Movie and TV editor. Participated in many Movie and TV production. Main representing TV product: “Love in a Second”, “2 Enemy and 3 Revenge”, “Black Earth Green Shade”, “Walk into High School” 20 episode “Young People in the Farm”, 30 episode “Young Immigration Students”, 30 episode “Hate and Love in-laws”. Main representing Movie Product: “Flamingo Child” Among all these product, “Young People in the Farm” awarded first place in China "Five to One" Project Award in year of 2001 and Second place in China "Fei Tian" Award;“Walk into High School” awarded First place in China "Five to One" Project Award in Year of 2001 and Second place in China "Fei Tian" Award; Movie “Flamingo Child” awarded International "Arterk" Children Movie award and the most romantic product award. Movie “Flamingo Child” awarded International "Arterk" Children Movie award and the most romantic product award. Novel version of “Walk into High School” was selected and published by China Young Publisher after the award. Board Member: R Todd Cornell – Todd was born and raised in Colorado. He holds a M.Ed. from Montana State University and graduated from Inner Mongolia University in Huhhot, Inner Mongolia, China, with a BA in Mongolian Language and Literature. Presently, Todd is is the Associate Director for the Confucius Institute at Colorado State University in Fort Collin, CO. Has a special interest in language and culture, has travelled extensively, and speaks several languages besides his mother tongue of English including; Mandarin Chinese, French, Spanish, and Mongolian. Todd has a fascination for Eastern culture and language, he lived in China, including Taiwan and Hong Kong, for over 20 years. His strong grasp of the Chinese language coupled with many years at leading and managing international businesses affords him not only the skills to interact with diplomacy but gives him the capacity to move easily between cultures. Todd’s Chinese writings include; The Mongolian Infinitive and 99 Mongolian Verbs.